The Malole StoryHOW WE BUILT OUR, AND YOUR, DREAMS. Malole founder & experienced surfer. World class chef & hospitality genius. We won’t be the first to tell the story of Felipe Polmar and the Malole Surf House and we certainly won’t be the last. A Lima, Peru native, Felipe grew up around the ocean but didn’t give surfing a try until the ripe age of 14. 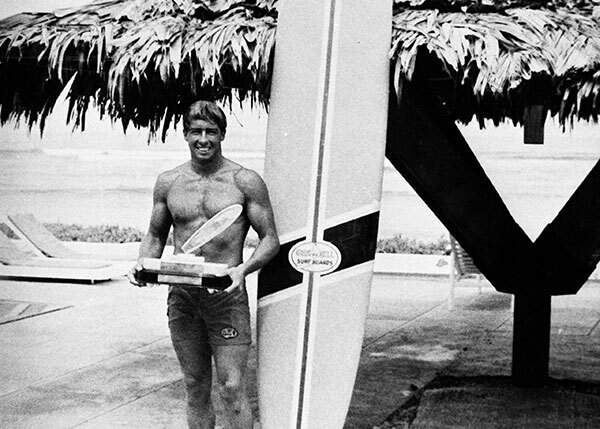 A swimmer and competitive by nature, he took the surfing world by storm. The surfing culture in Peru in the 1950’s blossomed quickly as big wave riders from Hawaii began descending on the Peruvian coast to chase swells and introduce new surfboard technology that would alter history forever- big wave guns. In never-ending chase to ride bigger swells, Felipe traveled to Hawaii and paddled out with the best of them. 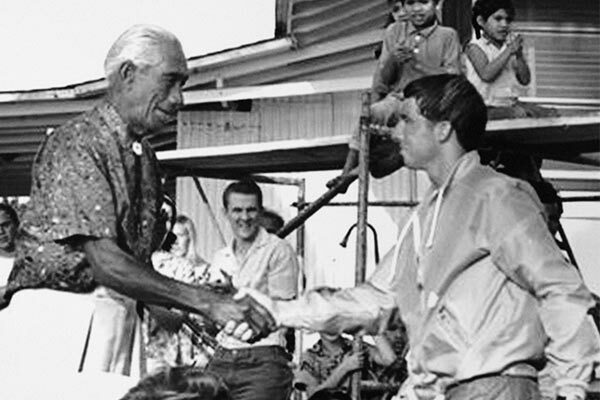 Surfing’s greatest names surfed alongside Felipe in big-wave contests in Hawaii and Peru in the 60’s. Polmar began to win titles in rapid succession, sitting father out to sea, deeper in the lineup, taking off with ease and style on massive mountains of water. 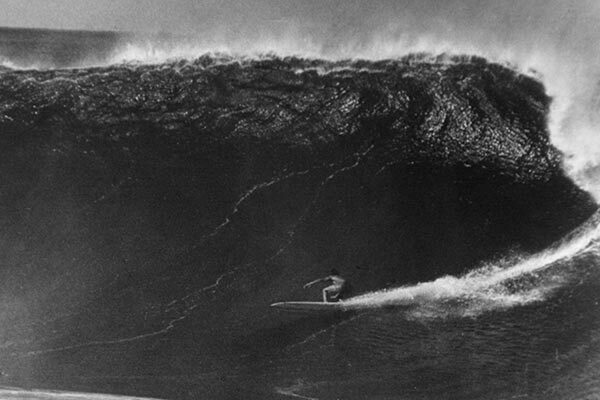 In 1962 Felipe won the Big Wave open Title at Kon Tiki and two more national big wave titles. He then moved onto the Hawaiian breaks, pushed his limits and gained more big wave experience. He went on to be the first ever Peruvian to win the World Surfing Federation World Title in 1965 at his home break. Big name surfers from around the world attended including Midget Farrelly, Nat Young, Peter Troy, George Downing, Mike Doyle, Mickey Munoz and countless other surf pioneers. Felipe dominated his heats and became the first Peruvian World Champion. This was monumental for Felipe, Peruvians and the surfing world. After the title win, Felipe continued to compete and win more contests in the surfing world throughout the 60’s and 70’s, traveling extensively all over the world to chase bigger swells. Repeated sightings of him in far-flung corners of the world always concluded with “and he was on his gun, chasing the biggest swell…”. Seek and you will find. 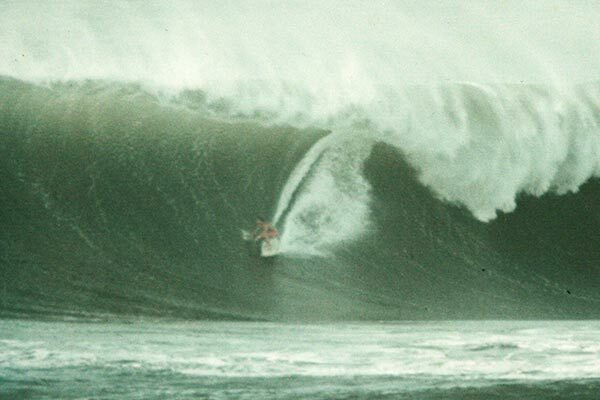 In October 1974 an earthquake rocked Peru while Felipe and longtime pal and board shaper Pitti Block were hunting swells in Pico Alto (a Peruvian Waimea). After the ground stopped shaking, Felipe pressed his friend to join him and face whatever the earthquake created out in the water. Nearly swept out to sea forever, the two ferociously paddled against the current, witnessing fishing boats being picked up and thrown effortlessly into cliffs. 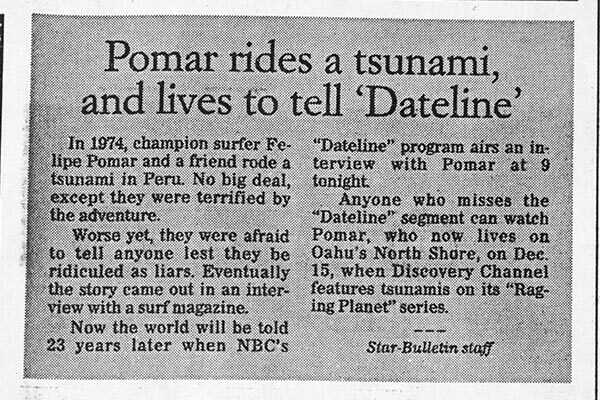 Afraid that they wouldn’t live to surf another day, they paddled for shore, somehow catching a set of triple-overhead waves that swept them through the Kon Tiki lineup, delivering them to the safety of land. They had done the unthinkable and surfed the Tsunami. After a short stint away from the ocean, competing in athletic events and competitions, Felipe returned to his surfing roots and traveled beyond the other surf travelers. He moved ahead of the status quo of nomadic surf spots, relinquished unridden massive swells. Soon, a dream bigger than the swells began to take shape. As Felipe traveled back and forth between secret-spot surf meccas, he met an Uruguayan man named Diego Arrate in Kuai, a building engineer from Uruguay with a passion for surfing. They both had a similar life goal to build a surf camp somewhere remote, with the best waves and atmosphere. Felipe’s extensive travels gave him first hand knowledge on where the best bet was- Rote, in the Nusa Tengarra region of Indonesia. They had the location, the perfect wave and the perfect plan. Now it was time to get to work. In 2001 Malole Surf House began to take shape. There are the usual setbacks when setting up camp as an expat, language barriers and cultural differences, but Felipe and Diego assimilated into the friendly Rotenese community and progressed. Diego decided to move permanently to Rote. Slowly and surely the Surf House dream materialized and the goal was close at hand. It took about 2-3 years to get off the ground; Rote was a remote island, without an airport, telephone communication, paved roads and access to building materials. The completion of construction projects was slow, yet steady. The first guests arrived in 2004 to reap the rewards of the long years of patience and hard work and the perfect surf. The atmosphere couldn’t be any more ideal. But there was one thing missing. In the year 2006 the final piece of the puzzle came together, enter Maria, a European trained Argentine chef. After completing a high-end cuisine apprenticeship in Spain and years of culinary education, Maria took on the hospitality side of Malole. In one year she mastered the local language, Bahasa Indonesian, and English. She whipped the Surf House into shape, creating an atmosphere for international culinary delights, giving the guests one major reason to get out of the water at breakfast, lunch and dinner time. She paved the road to success, the waves and accommodation spoke for themselves, but Malole had the golden ticket: amazing food AND over 40 years of Rote surfing experience. 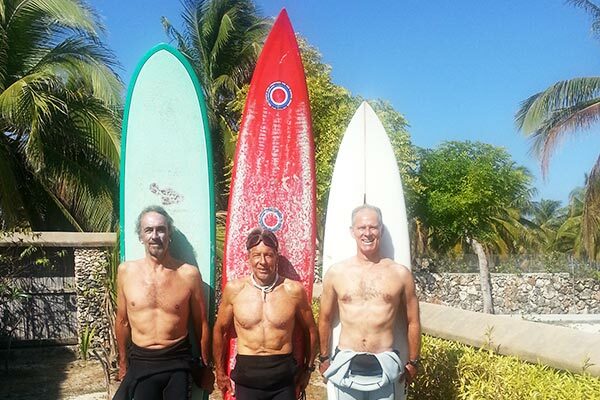 Since the beginning of Malole Surf House, Felipe, Diego and Maria have made the necessary adjustments to keep guests coming back year after year. They focus on keeping the groups of guests small to ensure satisfaction for each and every person to walk through their door. Quality and comfort are synonymous with the team of Malole staff attending to the guests every day. From the moment you wake there is someone there to attend to breakfast, to drive a boat out to the surf breaks, to tie up any loose ends and allow for ultimate relaxation on land and fun in the water. 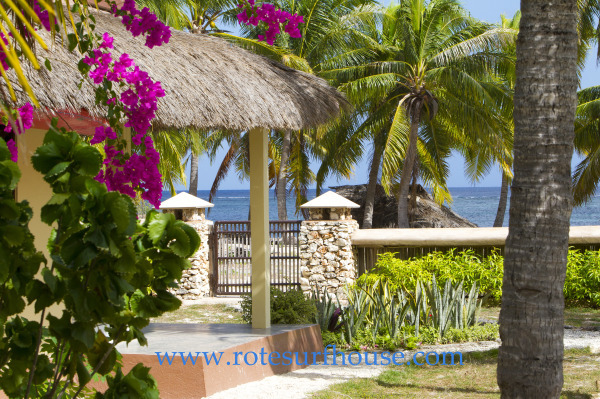 The ultimate Rote dream has come to fruition, Malole Surf House pioneered the Nembrala surf scene. Every year our devotee guests, come back year after year for the surf, the food and the hospitality. Book your trip today and join our Malole family. Sleep, eat, surf, repeat. That is all that is required of you.